THEY say big things often come in small packages, and that's certainly the truth with this dash cam. Despite its sleek, compact and ergonomic design, allowing it to be discreetly installed behind the rear view mirror and thus keep the driver's line of view clear, the Mio MiVue J60 has a cam-tastic amount of built-in features. Created to capture every detail, the MiVue J60 provides full HD 1080p footage at 30 fps with 150° wide angle viewing and F1.8 aperture. For every second, drivers will get 30 frames of video, ensuring that all recorded footage is clear and indisputable if ever required as a witness to an incident. Safety features include Advanced Driving Assistance System [ADAS], Lane Departure Warning System [LDWS], Forward Collision Warning System [FCWS] and Fatigue Alert; a driver’s safety is its first concern. As part of the ADAS, the MiVue J60 will give a sound alert if a driver starts to drift away from the centre of a lane or goes over the speed limit allowing them to keep their eyes on the road. The device also comes with pre-installed safety camera data, and free data updates for the lifetime of the device so drivers can avoid any dreaded speeding fines. I found the the MiVue J60 to capture crystal clear video quality, and it also features video back up capabilities. The built in wi-fi allows users to immediately back up event videos by uploading to mobile phones via the MiVue Pro app; allowing quick and easy access to videos. Download the free app from the Apple/Android Play Store, and then you can connect to the camera over wi-fi, allowing you to view, delete, and also download videos to your camera for back-up. I have to say connecting to the wi-fi was not altogether straightforward but I did get there after a couple of attempts, and it could well have been down to how my phone works. As with most cameras, storage is not included in the box so you'll need to buy a micro sd card to record footage. I plumped for a 32gb card which will give me roughly 480 mins (card not Mio specs) of Full HD footage. The camera supports cards from 8gb to 128gb - the bigger the better if you don't want to have to regularly manage/delete the footage. The firmware and speed camera data can also be updated using the Wi-Fi OTA (Over-the-air) update, ensuring the device is always up-to-date. The MiVue J60 can also protect cars even when unattended, with its parking mode feature. As this needs a permanent live - not often the case with modern cars which require ignition for power - a SmartBox II power cable (available separately) will allow the camera to instantly start recording as soon as it detects something come close to the vehicle. The MiVue J60 has the added security of built in GPS which tracks a vehicle's location and speed so drivers know that vital information is safely stored when required. 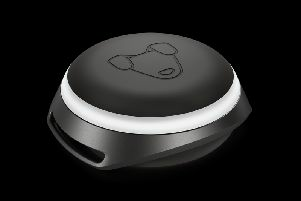 The GPS module is housed inside the unit so there are no external devices that need to be connected. Despite its discreet size, the MiVue J60 allows for a wide angled viewing range of 150°, which when combined with the high quality sensors and night mode, ensures registration plates and small details are captured throughout the whole journey.